One of the most popular haunted places in Georgia includes that of Oatland Island. Nestled in the sweet smelling timbers of an environment with wildlife immense, and the natural curiosity of living people, this mysterious Georgia location is believed to be host to a number of spirits that are not of this world, but one all of their own! While it is now a wildlife zoo and touring area, Oatland Island once served as a retirement facility for men who had reached the end of their railway careers. To date, numerous unusual situations have occurred. Here, you will learn about Oatland Island, one of the most haunted places in Georgia. During the time of World War II, Oatland Island was used as a stationary location for the sick and injured. It was a specialized service hospital that was open to the public that needed medical attention, and continued care. World War II ended and the need for a public facility that focused on the medicine of the sick and injured also ended. This is when the “Center for Disease Control” spotted the immense building and determined that it may be a good match for the space that it needed to conduct research, develop new medicines, and more. The building was purchased and then turned into a Technical Development Lab. From this time forward, strange and unusual situations begin to occur at Oatland Island. Eventually, this facility was turned over to the local school system. A type of “zoo” and wildlife haven was integrated into the establishment. In addition to this, many educational courses and enhancement lessons were offered at this facility. However, this still did not sway from the fact that a number of hauntings had been experienced. 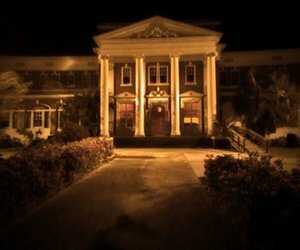 As a matter of fact, Oatland Island remains one of the top haunted places in Georgia even today! There have been several tours conducted in which individuals were subjected to spirits at Oatland Island in Georgia. One of the most common experiences in this structure are the present of orbs. Orbs that are large small, bright, dull, and even different sizes, shapes, and colors have been spotted at this particular facility. Individuals who have implemented the use of Electronic Voice Phenomena, or “EVP” have heard static and white noise to decipher spiritual voices and messages from the other side. This creepy structure is bound to give you spills and chills! 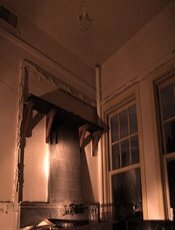 Now, you too, can experience one of the most haunted places in Georgia!